I’ve been collecting a lot of great accessories for the Fujifilm X-Pro 2 and have put together a list of what I think are some of the best. I’ll start with all the accessories I’ve come to love, or even accept as a good product until I can get my hands on some more X-Pro 2 specific accessories. I really recommend you pick up a screen protector. The LCD’s on Fujifilm cameras are not gorilla glass like they are one some other DSLRs or smartphones. They can scratch easily and in fact, I have a huge scratch going across my entire screen on my XT1. Luckily that scratch is on the screen protector and not on the screen itself. I’ve tried many many screen protectors and I really have come to like Expert Shield. And if they come in matte, even better. The X-Pro 2 uses the same batteries as the XT1, so if you already have some, you might not need more. I have a dedicated page for memory cards. I don’t have the camera yet, but I’ll be testing which memory cards are the best for this camera as well as how to best configure the dual memory card slot with UHS-II and UHS-I cards. If you’re feeling lazy and just want the best cards. It’s usually the Lexar UHS-II 2000x for UHS-II and the Sandisk Extreme Pro for UHS-I. You can live without one of these, but they are nice. For me they help me find the shutter button when my eye is up to the OVF, and sure, they make pressing the button a little easier. There are a few types, generic, and the nicer ones. You can also find a bunch on Etsy that come and go. I’ve even seen some made out of wood. Lensmate – Amazon – These are nice because they don’t fall off easily like the Neewer soft shutter buttons. I really like having a Thumb Grip on range finder style cameras. It just really helps grip the camera and gives it a more secure feel in the hand. 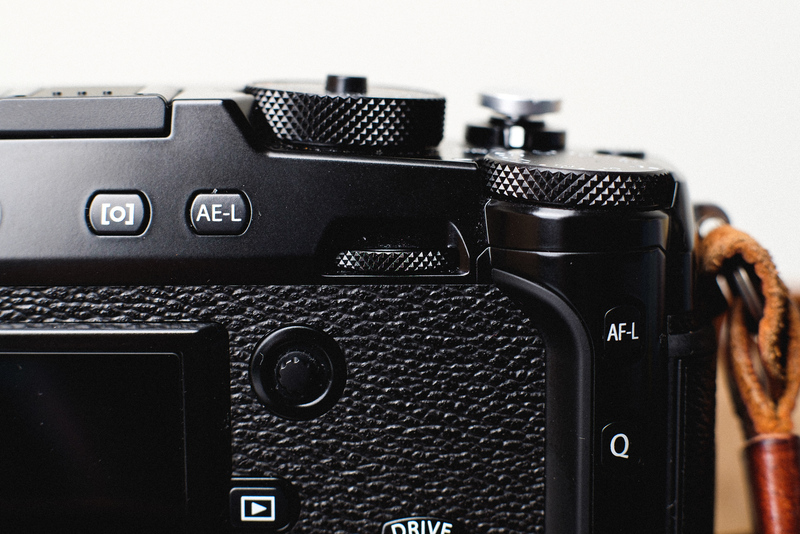 Lensmate is still working on the design of their thumb grip for the X-Pro 2. They make the best grip because they design each one specifically for every camera. I personally like Gariz Cases because of the tripod mount on the bottom. But if you want an all leather case,, Kaza makes a great one and for a custom job, LeicaTime makes some of the best. It will be awhile before we see any of these, so I’ll just mark them all as coming soon. Some of my favorite leather straps. HardGraft – Instant Camera Strap / Hang Camera Strap / Re-Process – I’ve been using the Re-Process on my A7rII. It’s worth looking at. I love it. They’ve introduced several new designs that you should check out. LeicaTime Straps – Luigicases.com – The Deluxe Strap is amazing. Gariz Leather Straps – Amazon – These are smaller and cheaper straps, nothing to write home about but definitely a good option for someone on a budget. If you just keep your original Fuji strap, something like a C-Loop is nice for being able to quickly take it on and off. Custom SLR also has a few new non leather straps. There is a new C-Loop mini that might work nice with the Fuji strap. For a list of all lenses for the X-Mount and the X-Pro 2 see my Fujifilm X-Mount Lens List. As third party accessories come and go I’ll keep this list updated with all the good stuff. I’ll be owning the X-Pro 2 so for the next few years it will be one of my primary cameras that I’ll be constantly tweaking with accessories.